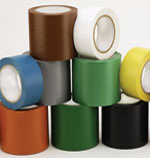 Riverside Paper has the largest selection of Vinyl Tapes available. Choose from 20 different colors in a variety of sizes. 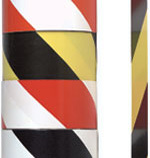 Our Vinyl Tapes are use as Detailing tapes in the automotive and craft industries. 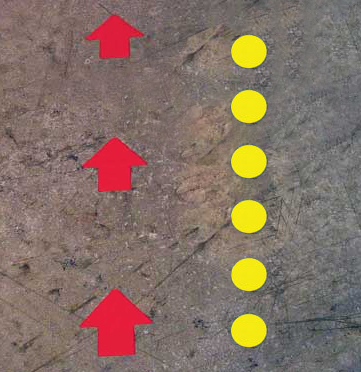 Use the directional vinyl arrows and dots to help keep traffic where you want it. See our cable path tapes, wire guide tape in strips and solids, idea for convention centers, theatres or anywhere you need to organize wires and keep them from being tripped over or tangled.